An amplifier increases the level of signals. This is essential when weak signals need to be investigated or used to drive other equipment. Gain, bandwidth, noise and distortion are all factors that need consideration. 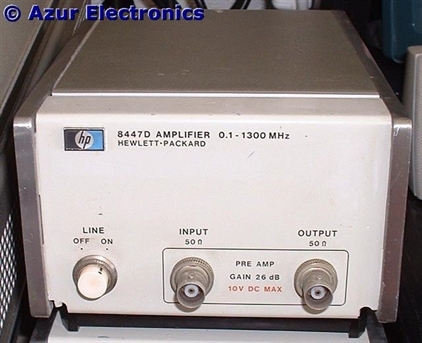 The HP 8447D Amplifier has a gain of 26dB and a bandwidth of 100kHz to 1.3GHz. For details see HP 8447D Amplifier. Oscilloscopes can also be used as amplifiers by by using the Y input and output signals. Bandwidth is typically limited to 100MHz.